Eclipse Select Soccer Club forward Zoe Redei (Highland Park, Ill.) has been named to the U.S. U-20 Women’s National Team for a three-game tournament in La Manga, Spain. Redei is one of 22 players called in by USA head coach Michelle French for a 10-team competition that includes games against Norway (March 5), the Netherlands (March 7) and Sweden (March 9). This is Redei’s second call-up with the U-20s after featuring for this age group during an October camp to start the new cycle. 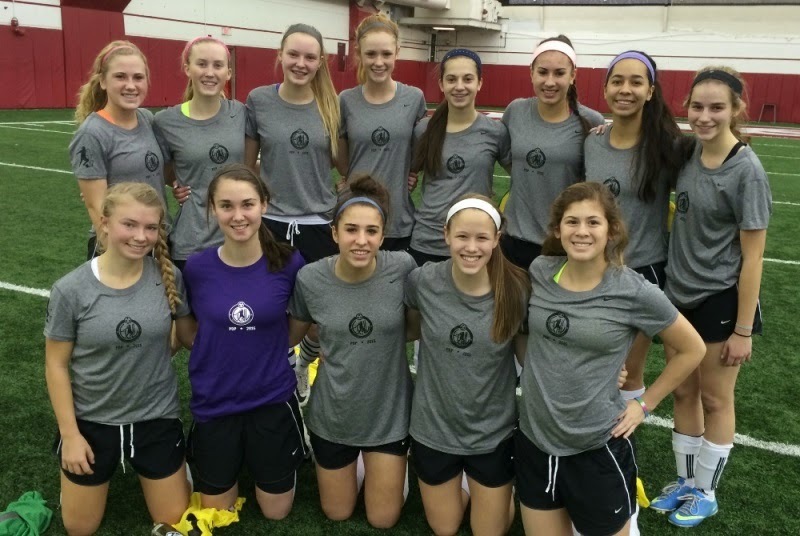 A large contingent of Eclipse Select Soccer Club players traveled to the University of Wisconsin Madison over the Feb. 7-8 weekend to earn the right to take part in the 2015 Elite Clubs National League Players Development Program. A total of 13 players represented Eclipse Select as the club touted the largest group among the ECNL’s Midwest Conference teams. Team 1 included Eclipse Select Elite ECNL 2018 (U-15) goalkeeper Haley Leanna (Grayslake, Ill.); Elite Pool 2017 (U-16) defender Camryn Biegalski (Lombard, Ill.) and Elite ECNL 2016 (U-17) defender Emily Hess (Batavia, Ill.); and Elite ECNL 2018 midfielders Jessica Denney (Naperville, Ill.) and Brynn Miller (St. Charles, Ill.). Team 2 consisted of Eclipse Select Elite ECNL 2016 defender Courtney Coleman (Antioch, Ill.) and Elite ECNL 2018 defender Caitlin Haislip (Munster, Ind. ); Elite ECNL 2016 midfielder Ena Sabanagic (Hanover Park, Ill.); and Elite ECNL 2017 forward Emma Cooper (Coralville, Iowa). On Team 3, Elite ECNL 2017 defender Lydia Brosnahan (Highland Park, Ill.) and Elite Pool 2017 midfielder Samantha Salay (Glenview, Ill.) represented Eclipse Select. Team 4 included Elite ECNL 2016 midfielders Nicki Hernandez (Naperville, Ill.) and Cassandra Rohan (Palatine, Ill.). 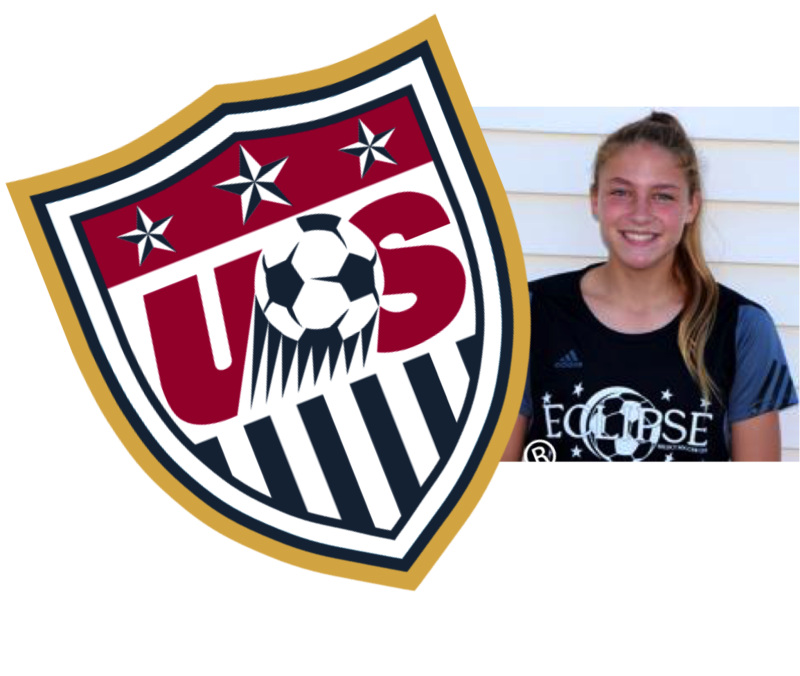 Eclipse Select Soccer Club midfielder Amanda Rapaduski (Algonquin, Ill.) has been called into a U.S. U-16 Girls’ National Team camp. Rapaduski will be part of a 24-player group at a Feb. 15-22 camp at U.S. Soccer’s National Training Center in Carson, Calif. This is the USA’s first U-16 programming since 2007. Women’s development coach Tricia Taliaferro is heading the camp. 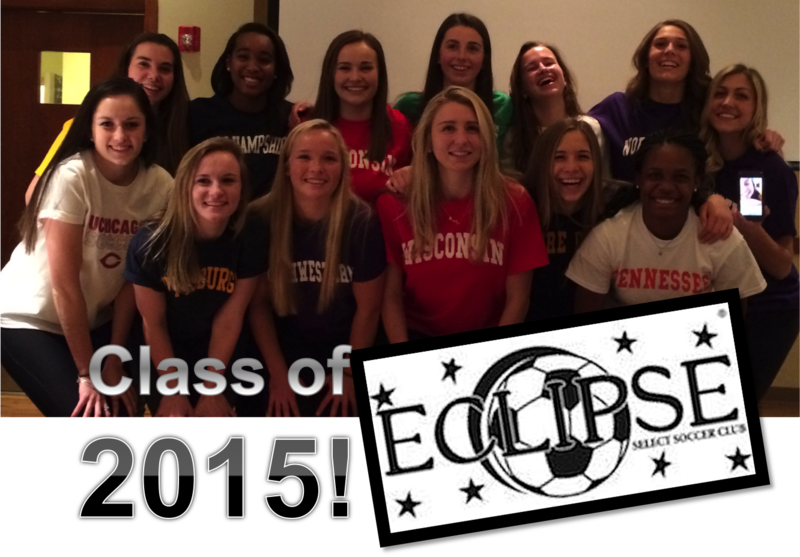 Eclipse Select Soccer Club is proud to announce its Class of 2015, currently featuring featuring 27 players headed to their respective NCAA women’s soccer teams starting this fall.